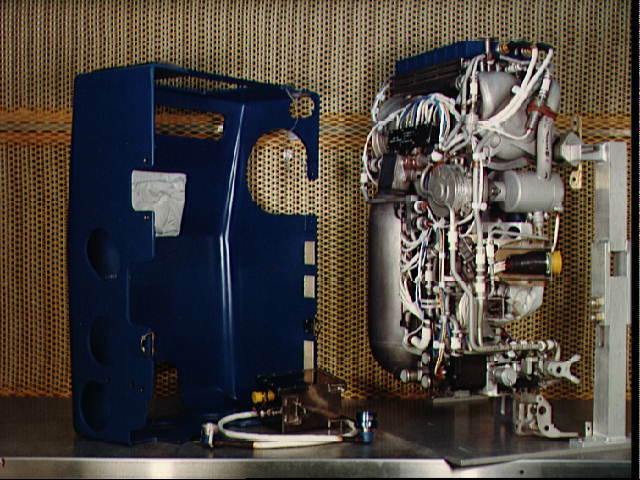 With its exterior removed, the Apollo portable life support system (PLSS) can be studied. The PLSS is worn as a backpack over the extravehicular mobility unit (EMU), a multi-layered spacesuit used for outside the spacecraft activity. This is a close-up of the working parts of the PLSS.